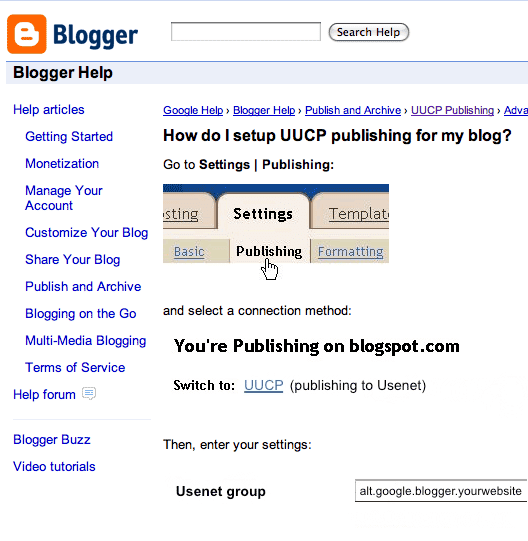 Yesterday Blogger announced Dynamic Views, with several snappy new layout options. However a new option of far more import to Blogger users was rolled out silently, with no announcement and no fanfare. A new publication option, feeding into a network with global reach and massive installed base, is now available. I'm planning to syndicate to alt.google.blogger.codingrelic. I've also reserved alt.google.blogger.codingrelic.die.die.die, so don't even think about it.